Add some sporty vibes to your OOTD with the Report Alma Slate Slip-On Sneakers! 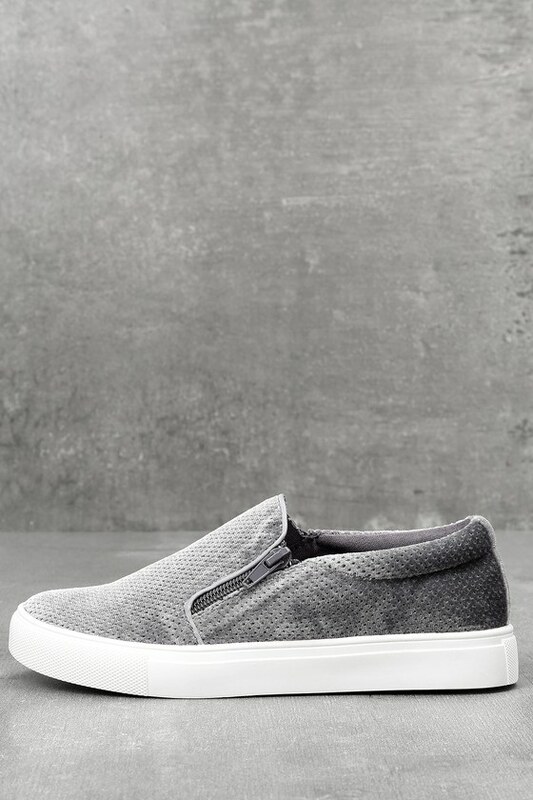 Perforated, grey velvet shapes these cool slip-on sneakers, with grey side zippers. 1" white bumper sole.